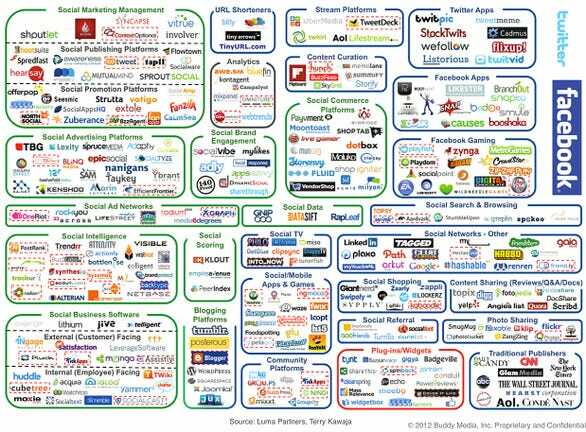 which appeared here http://www.businessinsider.com/social-media-marketing-landscape-complicated-2012-5 shows just how complicated social media has become. Actually these are not all the categories or all the companies and products in those categories because I can think of a few more. If you are trying to keep up with the ever changing world of Internet Marketing and Social Media you have your work cut out. I always start off my presentations on this topic by saying that our focus on Internet Marketing should NOT be taken to mean that we don’t believe in other forms of marketing ( so called Traditional Marketing ) e.g. Word of Mouth ( WoM ), advertising, mailshots and in particular emailshots. Actually our research has led us to the conclusion that one of the primary objectives of much Internet Marketing is to get someone’s name and email address. Once a person has ” opted-in ” to your email database you have a friend and a prospect. All you need to do is to send them relevant, interesting, funny etc information so that they STAY on your email list ! When I originally started learning about Internet Marketing it was because I had seen some research that said that about 50% of the people who were researching and buying telephone systems did their initial research online. Today we all use Google and other search engines to research and buy the things that we are interested in or want to buy. In the Masterclass I ask people to think about something they have researched into and perhaps bought online. You can do this too. Think about ” the process ” that you went through. ( This is the simple version ) You wanted to buy something. You Googled it. Some search results were presented. You clicked on a few. Explored the websites that you were taken to. Compared the offerings. Made a decision. Bought. OR maybe you found a couple of suppliers you liked but wanted to wait to make the decision to buy so you just bookmarked the site or signed up for emails from the company. I always like to understand what the ” young people’s ” process is because I think it is often different to the way we use Google. e.g. my son ( age 22 ) is always working on cars and if he doesn’t understand something or wants something he will type the exact question into Google e.g. ” how do you fit a light bulb to the rear quarter light of a Peugeot 105 “. As they say – you can tell someone’s age by the way they type things into a mobile phone – one finger is OLD, one thumb YOUNGER, two thumbs YOUNGER STILL. So different age groups Google ( Internet search ) in different ways. Some people do not understand ( or believe ) that a website is a waste of time and money if it is not being FOUND ( for relevant search terms – words and phrases ). The objective is not only to be found for the company name ( hopefully that is a given ) but for the PRODUCTS and SERVICES that you provide. This begs the question ( which not many people ask themselves !! ) – What ARE the products and services that YOU want to be found for ?? This is actually a fundamental question and a cornerstone of everything that you do from Search Engine Optimising ( SEOing ) to putting the correct CONTENT into your website and to your blogging strategy. You may be surprised at how few companies do this and how difficult it seems to be for them. If I was being cruel ( which I sometimes feel like being ) you would think that they don’t actually know what it is that they are trying to sell and therefore be found for. For other people it is a relatively easy question. They know what they are trying to sell and therefore promote and therefore be found for. Once understood ( and played with a little bit because some will be easier to rank for than others ) these are the “terms” that will be woven into ALL new content. ( You may want to go back and review what you have already done on the basis of this review aswell !! ). N.B. This is an interesting time to be talking about what Google ( and other search engines ) want to see in order to rank your web/blogsite high because Google has recently changed it’s “algorithms” penalising some SEO practices. If you read some of the books about Google you will find that it was originally based upon the practice of ” referencing ” research papers i.e. a paper written on a particular subject ( the topic of interest ) would ” reference ” ( provide links to ) other worthy papers. Google ALWAYS ( and in my mind always will ) tries to provide people with the information or answer they seek – to it’s best ability. Therefore, put simply, if you provide ( good, relevant, interesting, nice to read and look at ) CONTENT you will be FOUND over the long term without any risks of being penalised. I guess some people might call this a ” Content Marketing Strategy “. Once you have been FOUND the next task is to CONVERT visitors ( to your web or blogsite ) into Prospects and then Customers and then ANALYSE how/why/with what you achieved this success and then REPEAT IT !!! 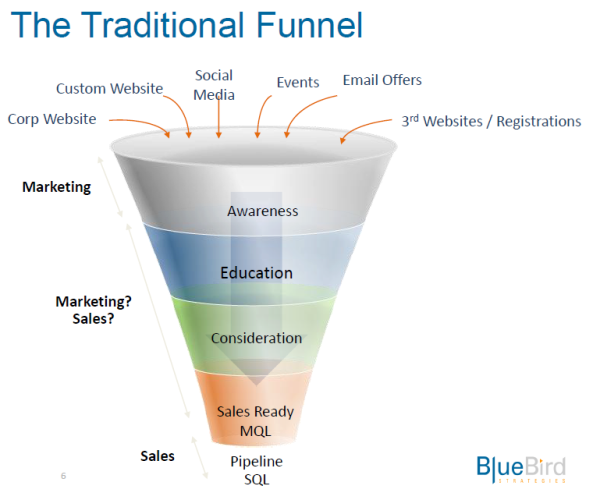 ” meme ” ( means a completely new area, in this case, Marketing Strategy ) called Inbound Marketing. So, you get FOUND ( because you have built your web/blogsite to be found for the things that you want to be found for ) then you CONVERT ( via the fact that you had the right ” Landing Pages “ ( more on this another time ) and ” Calls to Action ” then you track who found you, who they are, what they did when they went onto your web/blogsite and where they came from. e.g. Was it a Twitter/Twylah post that you made that led someone to your website who then emailed/phoned you or subscribed to your email database ? The ON PAGE SEO has been done ( Titles, tags etc ) and it is ” easy to be seen and spidered “. Once we understand all of this this we can understand why we must create what I call an ” Internet Marketing Ecosystem “. Twitter, Facebook, Google+, YouTube, Linkedin accounts ( as a base ) N.B. I have all of these and more but not all in M&A Rainmaker. and then you can establish an ecosystem that grows in power with every blog post and Twitter Tweet !! Will surely be coming back, its a nice blog! I noticed you renewed http://mandarainmaker.co.uk/2012/05/21/internet-marketing-masterclass-in-lichfield-staffordshire/ for a decent period, was that because of SEO? Had to add you to my weekly website bookmarks, keep up the good work! I keep hearing that proper SEO is dead, are they right about SEO? Will surely be returning, ’tis a great blog! Bookmarked your site, should help me keep up with your posts! Bookmarked your site, I have to keep up to date with regular posts! I keep hearing that proper SEO is dead, do you think Google is trying to get rid of search engine optimisation? Bookmarked your blog, lets hope you keep up with your posts! Everyone says that proper SEO is dead, what’s your opinion over the future of search engine optimisation? Shared on StumbleUpon, someone will like it! Added this to my wall, very useful! I keep hearing that search engine optimisation is dead, could they be right about search engine optimisation? Posted this to FB wall, very good!